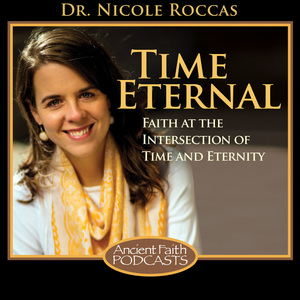 This morning, Nic Hartmann is back on the Time Eternal blog with a reflection on having a birthday that falls at the end of Nativity. I enjoyed reading this and thinking about my own internal metaphors and temporal “landmarks” that mark my way through this Fast. Whether we have a birthday during this season or not, the temptation to quit early is something we can all relate to. Happy early Birthday, Nic! My birthday (December 23) has always fallen around the same time as the Winter Solstice (December 21). I was born on one of the shortest days in the Western Hemisphere, and while it’s not always the coldest day of the year, it is certainly the shortest, with the sun scheduled to go down before 5:00 in the evening. It is a time for short days and long nights, but it is also a time for great anticipation, as the 23rd of December is also part of the Forefeast of the Nativity of Christ. But over the last couple of years, I’ve started to see my birthday not as an endpoint for the fast, but as a landmark to remind me that it’s nearly the Nativity, and Christ’s birth is approaching soon. Several years ago, when I lived in Kentucky, I had a lot of solo drives home down the Natcher Parkway, a highway between Owensboro and my then-hometown of Bowling Green. It is a largely uneventful road with just a few exits over the course of its 70 miles. It’s a good place to have a good radio show or podcast on to counter the monotony. 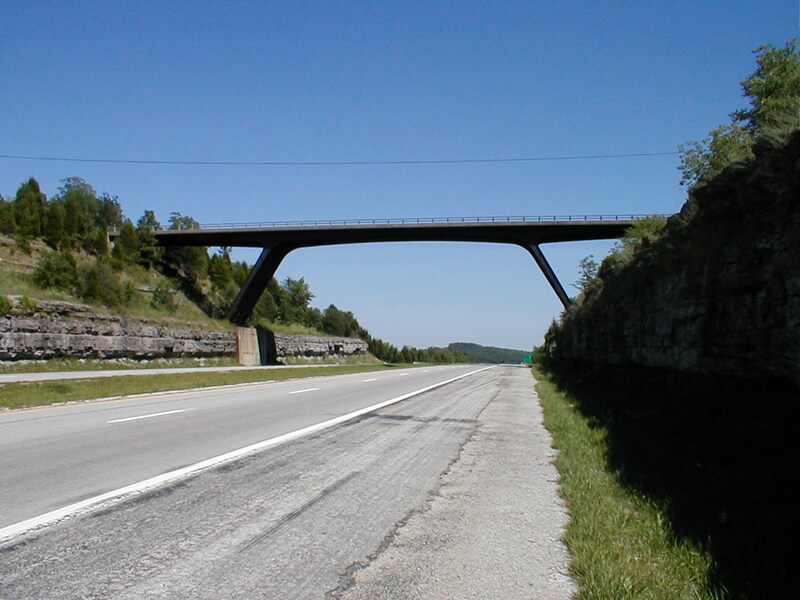 However, as you are approaching a few miles north of the exits for Bowling Green, you notice this large bridge that towers over the highway. It’s the Glen Lily Road Overpass, and it has to be at least 50 feet above the parkway. But it sticks out from other overpasses for its height, beauty, and design. And for people coming into town, it’s a visual landmark that indicates that you’ll soon be home. You’ve driven sixty miles to Bowling Green so far, and you only have two to go. That’s my internal metaphor for the Nativity Fast, and the Advent season. 39 days down. One more day after that. After Christ’s birth comes so many major feasts day, like that of St. Stephen and St. Basil the Great. We have twelve days of feasting following the Nativity of Christ, and then the blessings and purification that come with Theophany on January 6. It’s difficult when your birthday- for many people, a day of feasting and celebration- falls on day 39, and it’s easy to want to say “Oh, I’ve gone this far- I’m good.” This is something that, with not having other Orthodox in your family, is easy to want to say. After all, it’s Christmastime, and everyone else is eating rich food and drinking special beverages. Why stand out? Why bring attention to yourself? So what if I kept driving? What if we waited a few extra minutes to cool down in response to someone we believe wronged us? What if we waited another week or two to save up for something we need, rather than incur debt or run out of money? What if we waited one more day for something bigger and better, and did so in reverence and honor of something that would ultimately save us? But we have our markers, like our tall bridges, leading us closer and closer. In November, we have the Feast of the Entrance of the Theotokos, as well as the feasts of Sts. Martin and Catherine; December brings days honoring St. Barbara, St. Nicholas St. Herman, and St. Lucia. They are far from just saint days. They are the gates we pass through towards something greater. Dr. Nic Hartmann is a folklorist, museum education director, and blogger who maintains the blog website Thoughts of a Metanoia Bum. Seeing Orthodoxy for the first time during study abroad in Estonia, his folklore studies led him to join the Orthodox Church while in graduate school. A native of Indiana, Nic lives in Cedar Rapids, Iowa, with his wife Jen, and their two daughters. You can follow him on his blog or on Instagram (@metanoiabum). You can check out his other Time Eternal post here. What if Christmas *Did* Come from a Pagan Festival? My son’s birthday is also Dec 23rd… I always tell myself it’s not his fault that his mother conceived him during the lenten fast. I didn’t even know what that was back then! But now he is turning seven and we agreed that the big ol’ buttercream frosted cake could wait until after the fast. He was very mature about it.